The concept of being “next in line” is a curious one in the world of mixed martial arts. Fighters may string together a series of wins and be promised a shot at the title by the promotion, but things don't always go as promised. Kelvin Gastelum became the most recent fighter to find himself in the tenuous position of "next in line" after circumstances surrounding the UFC 234 main event led to the dissipation of his title hopes. After Robert Whittaker was forced out of their bout due to emergency hernia surgery, Gastelum was left without a champion to fight. 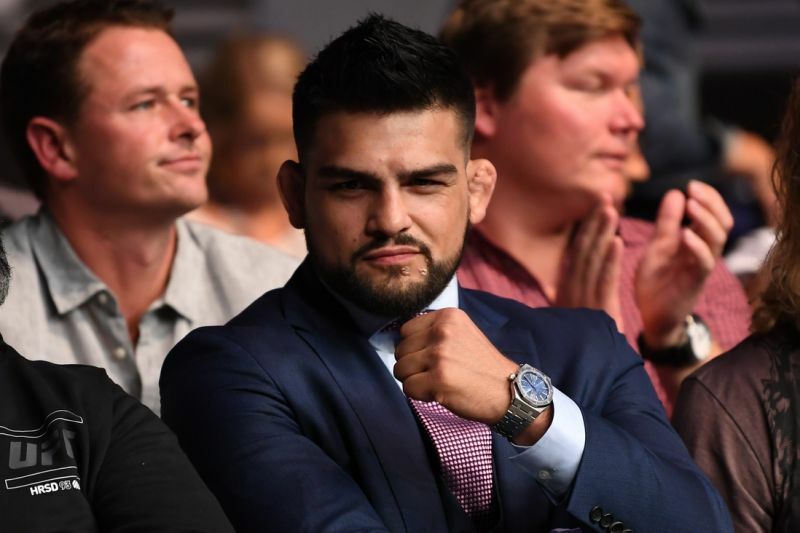 What followed was an odd series of actions and comments by Gastelum that culminated in being interviewed on the ESPN preliminary broadcast while wearing Henry Cejudo's title belt and calling himself the champion. The controversy that followed opens up a larger conversation about what it means to be in the position of “number one contender” in the UFC. As we know, Gastelum’s world is quite different than the actual world of mixed martial arts, where there is no forfeit clause. Typically, when combatants are forced out of a matchup mere hours before they are due to step into the cage, discussion swings to whether opposing fighters are paid for fulfilling all their obligations. Gastelum told interviewers that UFC President Dana White said they would "take care of him," but one thing Gastelum can't be fully confident in is whether he will be taken care of with regard to a middleweight title shot. That's because in the card's replacement main event, Israel Adesanya earned a unanimous decision victory over former champion Anderson Silva. Earlier in the week, White stated that this fight was a title eliminator, and that the winner would be the #1 contender at 185 pounds. Obviously, that was before Whittaker was forced out of the bout. Now White is tasked with deciding who should get the shot first between Gastelum and Whittaker. Gastelum is ranked higher than Adesanya, but there’s a volume of evidence that these rankings do not mean much when it comes to matchmaking. Framed through that lens, Gastelum’s act on Saturday night had a clear motive in mind. He was trying to stir up enough “controversy” to position himself as the main contender for the middleweight championship. Whether the decision is made to wait until Whittaker is healthy or plan an interim title fight, Gastelum wants in on that fight. 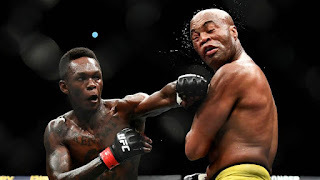 (However, on The MMA Hour, Adesanya downplayed the idea of fighting for an interim title, so we will have to see how that situation is resolved.) For Gastelum, keeping himself at the forefront of fans' minds going into the UFC 234 pay-per-view was his way of keeping himself from being overlooked coming out of it. One thing is for sure: this situation shows just how flimsy the claim that fighters have on promotional rankings and title opportunities. Gastelum has no leverage over being included in the next title fight, and the UFC doesn’t have any contractual obligation to book one for him next. 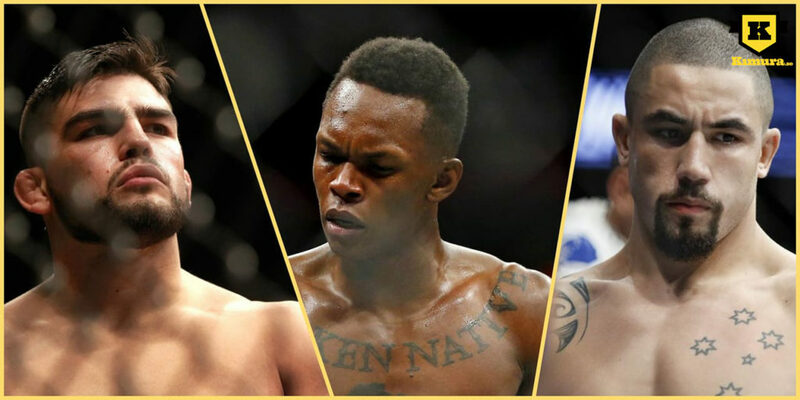 The organization can decide to go with Adesanya vs. Whittaker for the middleweight title, or any other combination of fighters for an interim championship. Might that bring into question the legitimacy of their titles? Perhaps, but that has been questioned for years at this point. Fighters are not in a position of power when it comes to obligating the UFC, and they continue to lose the fight to gain more power. Thus, Kelvin Gastelum is doing his best to remain in the title conversation. 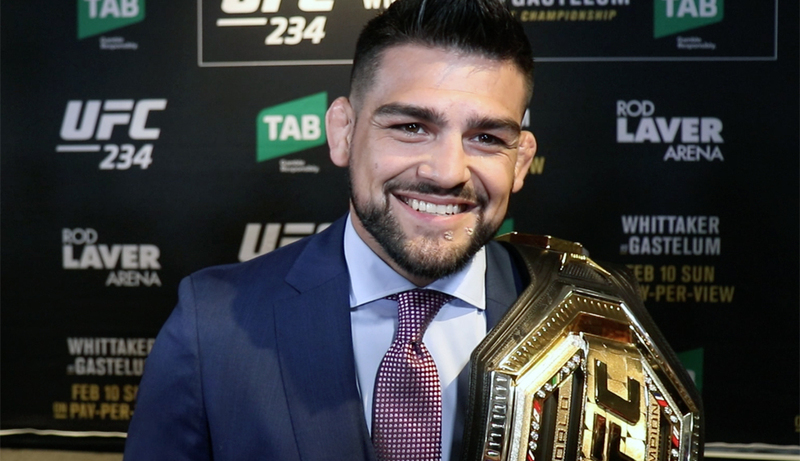 There’s no telling who the UFC will put in the Octagon the next time the middleweight title is on the line, but after losing his opportunity at UFC 234, Gastelum made sure to turn himself into a talking point. It may not have been well-received, but with the unfocused nature of the UFC middleweight title picture, sometimes acting out is all fighters like Gastelum can do to keep themselves in the promotional frame.